In Brief: Why do librarians struggle so much with instruction? Part of the problem is that we have so many facets to consider: pedagogy, campus culture, relationships with faculty, and effectiveness with students. Research on student and faculty perceptions of librarians combined with sociological and psychological research on the magnitude of impression effects prompted us to more thoroughly examine how perceptions of instruction librarians impact successful teaching and learning. In this article, we look at theories of impression formation, the historical feminization of librarianship, and suggestions for next steps that we should take in order to take charge of our image and our instruction. Read the rest of the article over at the blog. 2014 AzLA-MPLA Joint Conference: Libraries: Best of the West! In response to member feedback, the 2014 AzLA/MPLA Annual Conference is granting an extra week for program submissions. Proposals for preconferences, conference programs, and workshops will now be due Monday, May 5, to allow a little more time to work around busy Spring schedules. The 2014 AzLA/MPLA Annual Conference will be held at the Radisson Fort McDowell Resort and Conference Center in Scottsdale/Fountain Hills, November 12 – 14, 2014. This year’s joint conference will include attendees from Arizona and from throughout the 12-state Mountain Plains Region. Together, our two associations will highlight the best our libraries have to offer: Creative approaches, new ideas and services, unique collections, and more! Preconferences, Programs, and Workshops: May 5, 2014 (extended). Leadership & Staff Development – Explore leadership, management, and organizational/career development issues, trends, and best practices. Children & Young Adults – Share exciting, practical, and theoretical ideas and information about serving children and young adults. Information Literacy & Teaching – Focus on instruction techniques, theory, information literacy, and classroom trends and topics. User Services – Explore collection development topics, new trends in designing user spaces, and improving public services. Technology & Tech Services – Explore ideas and information about digital library issues, metadata standards, and hot new technology trends. Library Outreach, Marketing and Advocacy – Teach others how to create partnerships, be aware of legislative issues, advocate for libraries, and utilize new marketing techniques and ideas. For more information, or to submit your proposal online, visit the conference page at http://www.azla.org. You can also follow AZLA’s blog at http://azlablog.wordpress.com, “like” us on Facebook, or follow our Twitter feed (hashtag #azlampla). Online registration opens on August 26, 2014. Contact the AzLA Association Management Office for questions about registering for the conference or if you need assistance with your username and password. They can be reached at (480) 609-3999 or admin@azla.org. Two librarians debated the future of the academic library over on Huffington Post recently. Their consensus: physical books aren’t going away anytime soon! Furthermore, “students want spaces that inspire learning and offer opportunities for the three C’s: collaboration, creation and contemplation.” See the whole post here. The ALA also released the 2014 State of America’s Libraries report in honor of National Library Week (April 13-19). Spoiler: academic libraries are dedicating more money to electronic resources than ever, and “staffing at academic libraries declined 9% in 2010–2012,” though salaries for new academic librarians increased 5% in the same time period. Jump straight to the section on academic libraries here. Did you know there are more libraries than there are McDonald’s? And more than half of Americans have an active library card. It seems to me only people that don’t use libraries think no one uses them. Three in ten Americans read an e-book last year, says Pew report from January. Half own a tablet or e-reader. 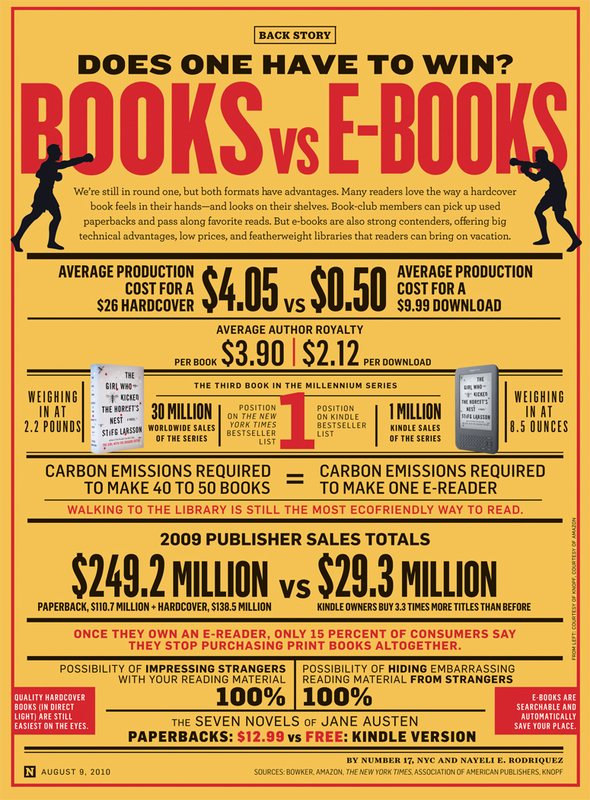 Print books still dominate reading, though. You’ve heard of Netflix, you might’ve heard of Freegal, and now there’s Hoopla, a Netflix-like service that streams digital content to library patrons. Have you used it yet? If it’s an e-book, why can’t everyone use it at once? Here’s a primer on helping non-librarians understand the complex relationship between libraries and electronic content. And remember to take a break from negotiating licenses to celebrate National Library Week, April 13th through 19th. How is your library celebrating? Buzzfeed has a list of 30 Things Librarians Love. For academic libraries, I would also add that we love committees. Check out the rest of the list. What do YOU love?